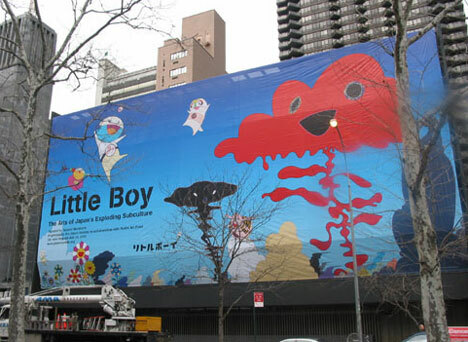 Takashi Murakami, "New day: DOB Totem Pole." 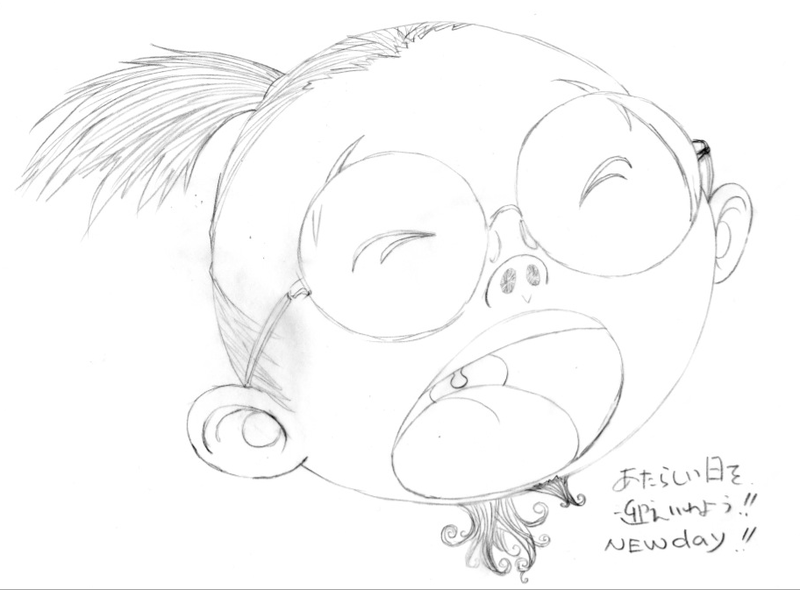 (c)2011 Takashi Murakami/Kaikai Kiki Co., Ltd. All rights reserved. Watch as this work transforms! 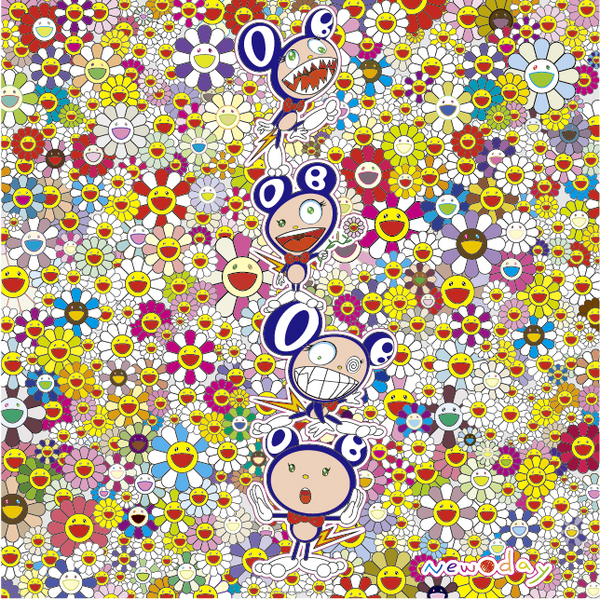 Takashi Murakami, Title yet to be determined (c)2011 Takashi Murakami/Kaikai Kiki Co., Ltd. All rights reserved. First we have a drawing of the subject. 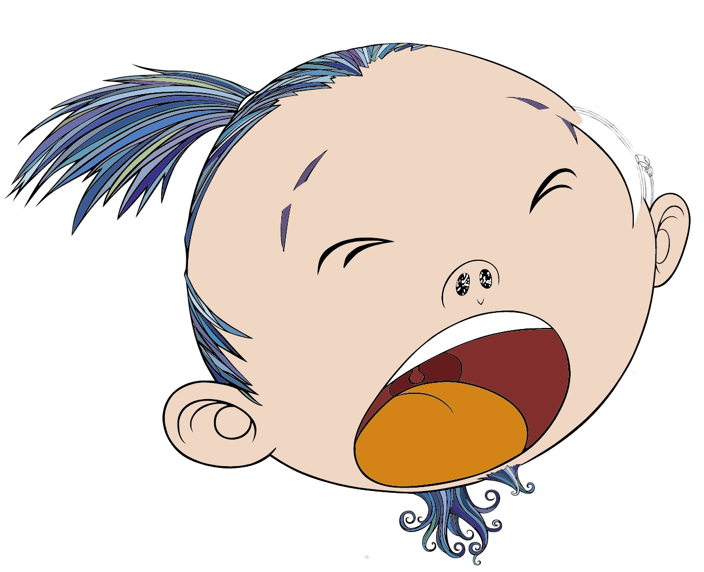 Next comes a preliminary color image. Notice how the side of the face and the eyebrows account for the refraction of light through the eyeglasses to be added later. 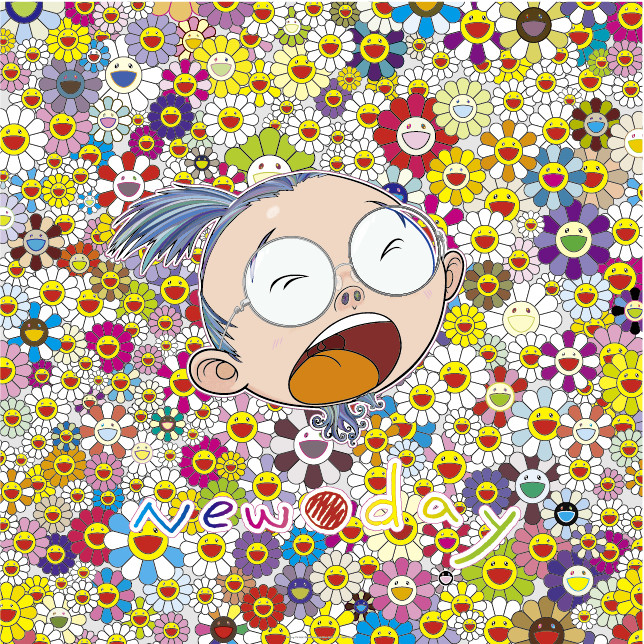 Takashi Murakami, "New Day: Self-Portrait." 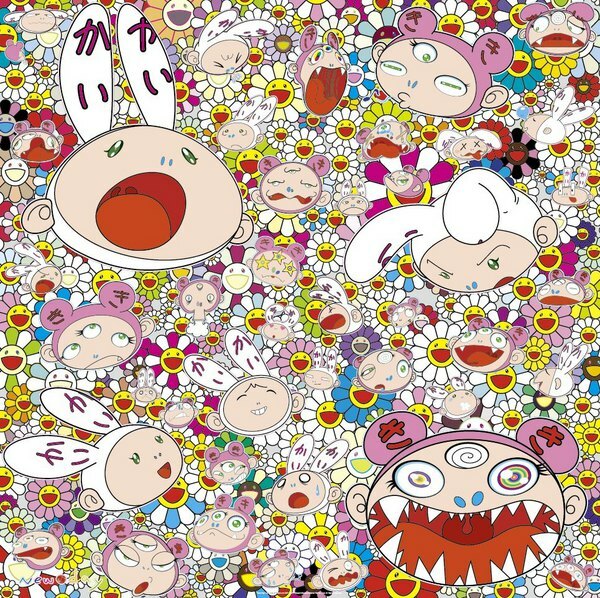 (c)2011 Takashi Murakami/Kaikai Kiki Co., Ltd. All rights reserved. 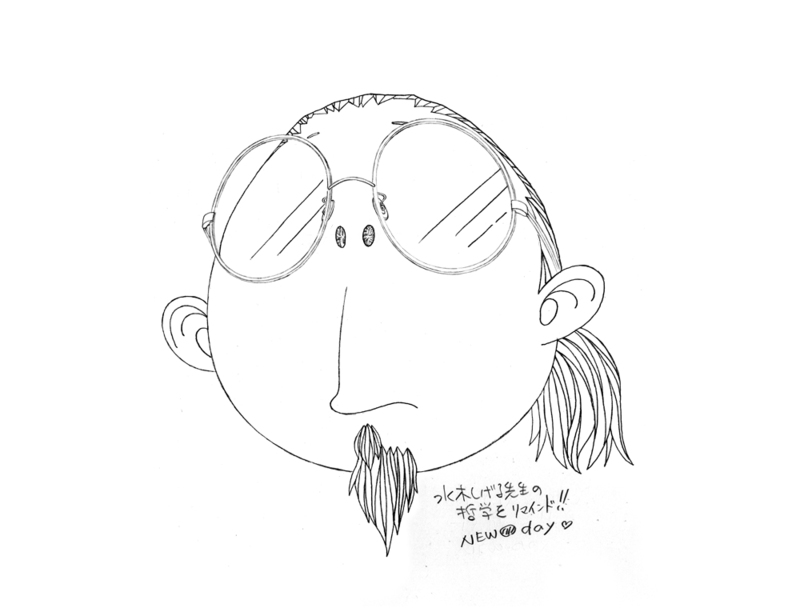 (c)2011 Takashi Murakami/Kaikai Kiki Co., Ltd. All Rights Reserved. 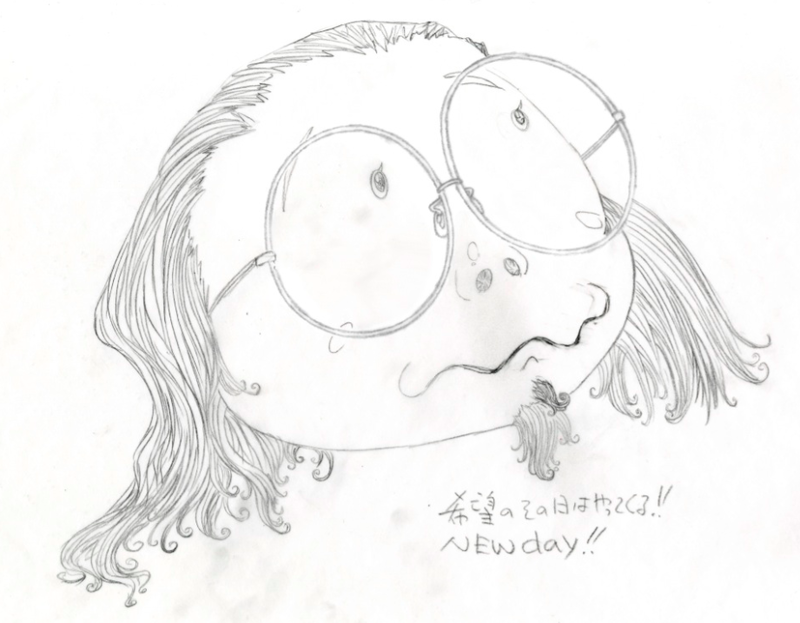 Recently, the GEISAI Executive Committee began a special project known as #newday_GEISAI. 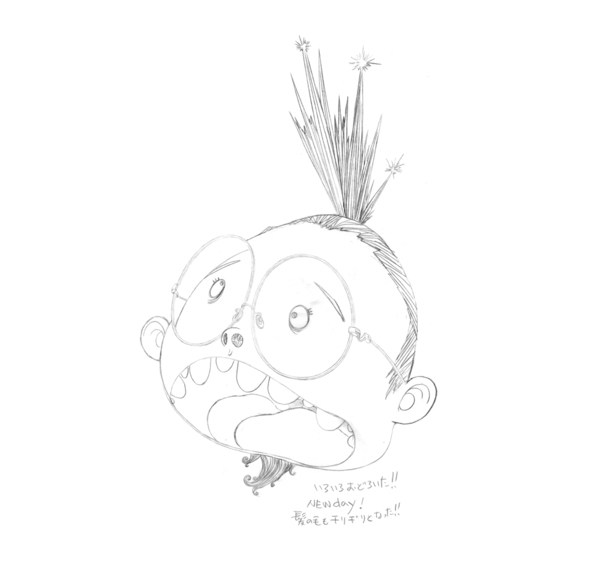 Struck with the desire to provide encouragement to the victims of the Tohoku-Pacific earthquake, I have asked artists around the world to join me in uploading artwork to Twitter’s affiliated image posting sites. “There will always be a new tomorrow. There will always be a new dawn. These are the words that we have chosen as our rallying cry. The response to this project has already been tremendous, with both drawings and messages of encouragement pouring in. We will be posting many of the results on this blog. If we think of it in terms of its practical value to society, art is in some ways the most meaningless of meaningless activities. But then why, we must ask ourselves, has it continued to exist for so long? It is this point that I would like you all to understand and share. Let’s back up and examine the specific series of events by which this project began. March 13 was the scheduled day of GEISAI #15 and due to the natural disaster which occurred, we were left with no choice but to cancel. There has been little sign of mass confusion so far and we have done our best to answer the small number of questions that have come in. But that does not mean we were oblivious to everyone’s unvoiced concerns. Among the artists that participate in GEISAI, it’s safe to say that there are many who are overly sensitive to the world around them. The wild swings between passion and despair, up and down, that these men and women experience are what lead them to create pictures in the first place. Those we call artists are inevitably possessed of this sort of temperament. And so it goes that there are many people who have been watching the TV and quietly holding in their pain at what they see. These people too are mental victims of the disaster and I wanted to help them find a release for what they have been feeling. It also goes without saying that there were many people looking forward to the once a year event that is GEISAI. After spending so long creating works and planning their performances, these artists suddenly had nowhere to direct all this pent up energy. Channel your thoughts into a work of art and present it for all to see. View and share your thoughts on the works that we have on display and let go of the tension that exists in your hearts. And in fact, I will cheer you on! Have no fear! As someone who relies on creation in order to make it through the day, you have an ally in me and scores of others. You are not the only one of your kind. And know that GEISAI exists as a festival for people like you. Take pride in it. So with that said, I plan to continue developing this project little by little. Lastly, I would like to express my heartfelt condolences to the victims of the Tohoku Earthquake and to pray for the speedy recovery of all who are affected.